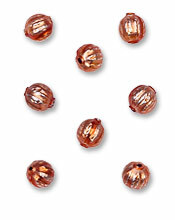 The manufacture of beads has a long history in the Czech Republic. First produced in Roman times, by the 1550's a major glass industry was thriving in the region of Bohemia. In the 19th century glass makers began producing blown glass beads especially for the Christmas ornament industry, which created a wide range of fanciful beaded glass ornaments and Christmas tree garlands. Our blown glass beads are still made in the Czech Republic using the same techniques that were employed in Victorian times. 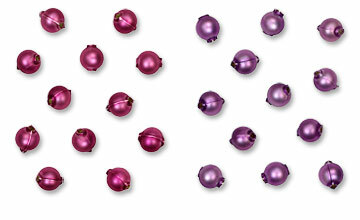 Create your own beautiful heirloom chains, ornaments and holiday decorations with our old-style blown glass beads. Made in the traditional fashion of hollow blown glass, we offer them in a wide range of shapes and sizes, with finishes that include shiny, satin and frosted translucent lacquer. are not suitable for jewelry making. These classic beads can also be further embellished to create your own extra-fancy finishes. 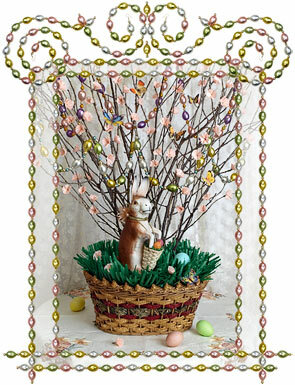 The beads can be painted with opaque or translucent glass paints, sparkled with diamond dust glass glitter, wrapped in colorful colorful confectionery foils, or even decorated with tiny scrap relief pictures and Dresden foil paper trims.